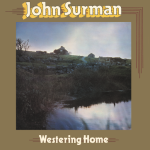 Originally released in 1972, Westering Home, is a remarkable solo album by the great British saxophonist John Surman. He plays everything on the record, drawing together many of the threads of his earlier recordings with the possibilities offered by new recording tecnology (and his own prodigious musicality). 1 Mock Orange, 2 Whirligig, 3 Jynjyg, 4 The Druid, 5 Outside The Scorpion, 6 Walrus, 7 Hornpipe, 8 Watershed, 9 Rill-A-Ree. 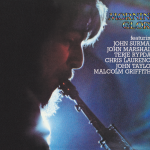 At the time of its original release in 1973, Morning Glory, seemed a surprising departure for John Surman. It seemed to owe more to the music being made by Miles Davis, Weather Report and Tony Williamsâ€™ Lifetime in the USA or Ian Carrâ€™s Nucleus and Soft Machine in the UK than it did to the often abstract, free but determinedly acoustic music that Surman had pioneered up to that point. Hindsight tells another story. Morning Glory stands as both a consolidation of his work to date and, like the solo Westering Home (also re-issued by Fledgâ€™ling), it offers a signpost for his work in subsequent years. Surman chose his partners for the recording very carefully, drawing from his friends and trusted collaborators. In particular, Terje Rypdal on electric guitar and John Taylor on both acoustic and electric pianos allows for an expanded musical palette. The rhythm section of Malcolm Griffiths on trombone, Chris Laurence on bass and John Marshallâ€™s chattering drums lay down a remarkably elastic rhythmic counterpoint. All of these musical signatures would become even more evident in his later recordings for ECM. Re-mastering from the original master tapes supervised by John Surman. 1 Cloudless Sky, 2 Iron Man, 3 Norwegian Steel â€“ Septimus, 4 Hinc Illae Lacrimae (Hence These Tears) â€“ For Us All.